Update Feb 14: I’m not exactly too worried about Wheeler saying he felt tender or sore during & after his bullpen session. It’s common for pitchers to go through stretches just like this when returning from the off season. A lot of players even go through a “dead-arm” period in the middle of spring training, it’s just the nature of the beast. However if this is something that continues then I do believe the Mets should take my advice on this one & give him the full time push to the pen. I’d imagine if it’s something he really doesn’t want to do, his agent & he can always demand a trade & I don’t see why the Mets wouldn’t at least entertain the notion. 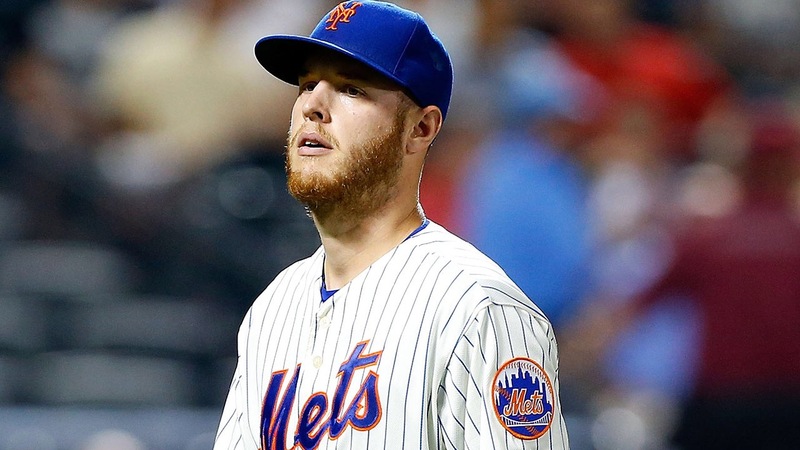 Original Feb 10: With Sandy Alderson stating the Mets are entertaining the idea of moving Zack Wheeler out into the bullpen for the start of the year, why not just keep him there? Now I know everyone wants to see him starting & dominating along side his fellow brethren but the truth is, as a starter he never really established any consistency. While he was a fixture in the rotation, you just never knew what you were going to get. Unless, he was pitching in Atlanta, then he was more than likely dominating those starts. In 2010 & 2011 while Davis was still in Tampa Bay & started 29 games each of those campaigns & wasn’t anything close to being a dominant pitcher. In 2010, Davis pitched 168 innings while giving up 165 hits with a 4.07 ERA & 1.35 WHIP also striking out 113 batters. In 2011, he pitched 184 innings, giving up 190 hits with a 4.45 ERA & a 1.38 WHIP. Even more disappointing, while he threw close to 20 more innings, he also struck out 8 less batters with just 105. He started the 1st season he was involved in a trade with James Shields & Wil Myers, he had 24 starts with an ERA well over 5 before Kansas City saved his career & moved him to the pen. In 2014, he had 13.63 K/9 & the rest is history. Now Wheeler has been a much better starting pitcher than Davis was, however they still suffered from similar issues. Davis averaged between 5 & just over 6 innings, having to be taken out because of too many pitches & having a higher than average WHIP. The same thing can be said about Zack Wheeler, in his rookie season he pitched 100 innings while giving up 90 hits but also 46 BB’s & 84 strike outs while his WHIP was at 1.36, however like I mentioned he is a better starter than Davis & Wheeler had an impressive 3.42 ERA in his 17 starts. In 2014, his sophomore campaign, Wheeler made 32 starts trips to the mound pitching 185.1 innings & striking out 187 which was a huge improvement & gave up 167 hits. He walked 79 batters & often had between 80-95 pitches in the middle of the 5th inning. So with the emergence of guys like Seth Lugo & Robert Gsellman, even with Gabriel Ynoa right behind them(Ok well maybe not him anymore), why not move the erratic Wheeler to the pen & use him 1-2 innings at a time. I’m not saying throw him into the closer role if Familia gets suspended but knowing you have a relief pitcher that can go 3 innings if needed would be a huge asset to the bullpen, especially if his K rate goes up in a similar fashion as Davis. Zack Wheeler could potentially be one of, if not the best relief pitchers in the game if he’s up for the challenge.